My diagram for the smyrna is probably a bit different than you have seen before! I feel it is important to have "3" be at the upper right. 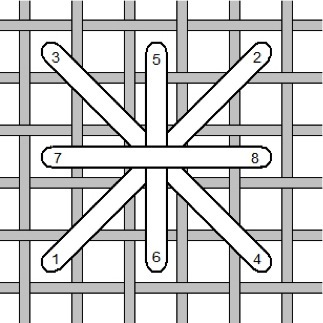 This makes it easy to do this stitch as a sewing method, keeping your hand in a natural position.